Looking for the greatest orchestral music in Pennsylvania? Look no further! Our list will have what you need! The best sounds in the area in the most professional setting to dazzle and amaze you! 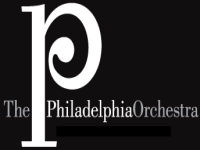 Unrivaled in the orchestral community, The Philadelphia Orchestra is renowned for its unique sound. They have made countless breakthroughs in musical areas and have remained one of the preeminent orchestras worldwide. While The Philadelphia Orchestra is constantly expanding and touring new and distant locations, they remain true to their hometown and spend 8 months out of the year in Philadelphia. Check out their calendar for a full list of their events to plan your next trip in Philadelphia. If your passion falls in the realm of concert halls, crescendos, and a symphony of sounds, The Philadelphia Orchestra is a must-see performance! Performers as Young as 6 years old! Orchestral music is not simply for the older crowd. 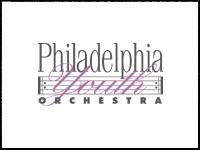 The Philadelphia Youth Orchestra (PYO) has demonstrated that fact for the past 72 years! Located at Saint Patrcik Hall, their young gifted and talented musicians range from ages 6 to 21. Alumni of the PYO go on to perform in some of the top orchestras in the country and some even around the world! Their website includes a downloadable PDF file of their seasonal schedule. Ticket prices range between $10-15 depending on age, and children under 13 are admitted free of charge. Check out some of their most impressive shows in December for that special holiday feeling! Support one of the most impressive youth orchestral groups in the country! The Lansdowne Symphony Orchestra has been a spectacle to see for many years. Performing primarily at Upper Darby Performing Arts Center, they have been providing the community with amazing classical music. Filling up the calendar year with at least 5 different performances, including a Youth concert, you should make time to see them in action! Their holiday concert pulls from several famous symphonies including Handel's Messiah. They have open auditions for people interested in joining the company. 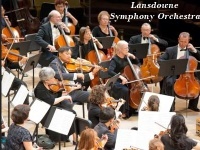 So if you want to see a local impressive orchestra, or are looking to join one, Lansdowne Symphony Orchestra may just be the group for you! Artistic Mastery of their Repertoire! 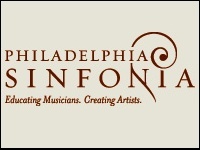 Students at Philadelphia Sinfonia learn not just how to perform from sheet music but how to unlock their full potential as musicians. The students here give everything they've got at each performance to provide a dazzling experience for the audience. The company ranges from ages 13 to 22 and has been performing since 1997. Their company emphasizes teamwork and showmanship in each performance. Their concert season typically runs from January to May. One of their most notable performances is in the holiday season demonstrating their ability to perform Handel’s Messiah. Check out their website for a full list of their performances! The Intimate Experience of a Chamber Orchestra! 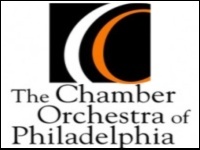 The Chamber Orchestra of Philadelphia is one of the premiere orchestral groups in Philadelphia. Their goal is to provide an intimate experience for its listeners. While most orchestras perform for massive music halls and large-scale audiences, The Chamber Orchestra of Philadelphia tries to perform to smaller crowds. Their website has a comprehensive list of concerts from Bach to Beethoven. Tickets and subscriptions to all their shows are also available on their website. So if you're looking for a more intimate feeling with an orchestra, give The Chamber Orchestra of Philadelphia a shot!